Hello Beauties! I make no secret of the fact that I love a good bargain. Yes, my tastes in makeup may be expensive, but that doesn't mean I want to pay high end prices every time. One of my favourite places to pick up makeup bargains is my local TK Maxx. I've often found Nars, Too Faced and theBalm in the beauty isles and my latest trip was definitely a good one for bargain hunting, as I managed to pick up both of these Too Faced Shadow Insurance eye primers for only £5 each! Much like the famous Urban Decay Primer Potion, the Too Faced Shadow Insurance is an eyelid primer which is designed to stop fading and creasing of your eyeshadows, whilst also increasing the vibrancy of your eyeshadow and prolonging the wear-time. I have to say, Shadow Insurance definitely delivered on all of the above points. I found that when I primed my lids with shadow insurance, it helped my eye look to appear more true to the colour shown in the eyeshadow pan, and the wear-time was excellent. I found that when I came home from work, my eyeshadow was pretty much still in tact, with the exception of a little wear and tear - something that would be unheard of had I not have primed my lids. So needless to say, I'm completely blown over by it's performance. However, I'd be lying if I said that the packaging didn't play a part in my decision to pick these primers up. I love all Too Faced packaging - it's girly cuteness is right up my street and they just look so pretty sitting in my muji storage. Of course the price (and the pretty packaging) helped me in my decision to buy both shades, but I decided to pick up both the original and the candle light variations as the candle light shade looked so pretty and shimmery when I swatched it in-store. Too Faced describe their candlelight version as romantically lit with the shimmering golden glow of candlelight - I have to say, as far as brand descriptions go, this one is pretty accurate as it definitely gives you that 'lit from within' look. Over the past few weeks I've managed to test out both formulas and whilst I love both, I definitely get more use from the Original formula, as it's brilliant for everyday looks. 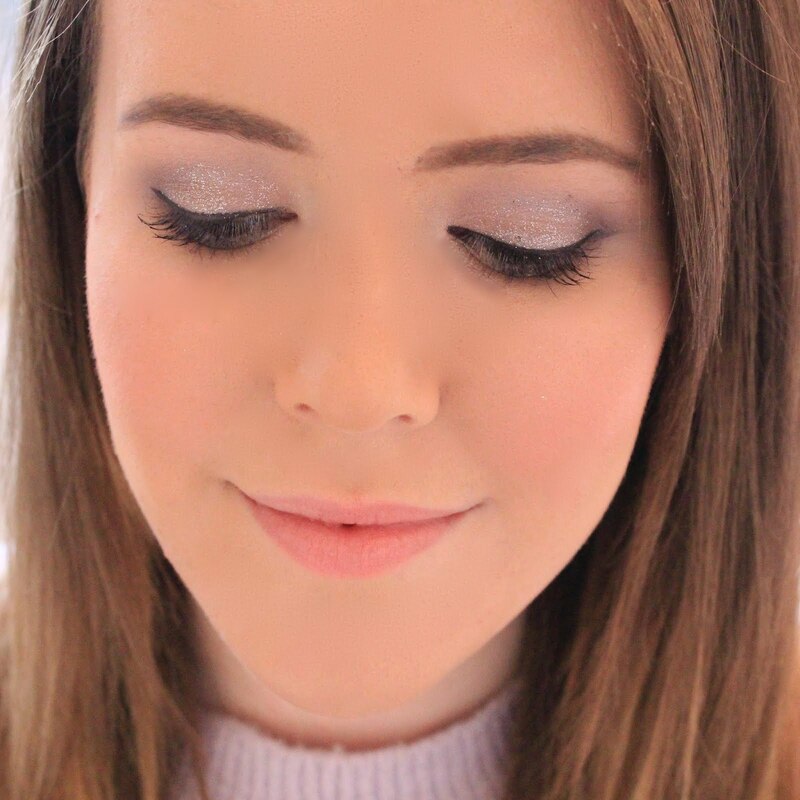 However if you really wanted to go to town with your eyeshadow, perhaps for a night out, the candlelight primer really gives your look that something extra, as the shimmery base helps to really brighten the area and intensify the shimmer in your shadow. I have to say, after trying both the Too Faced and Urban Decay primers, I much prefer the Too Faced Shadow Insurance as I found the results to be far superior. 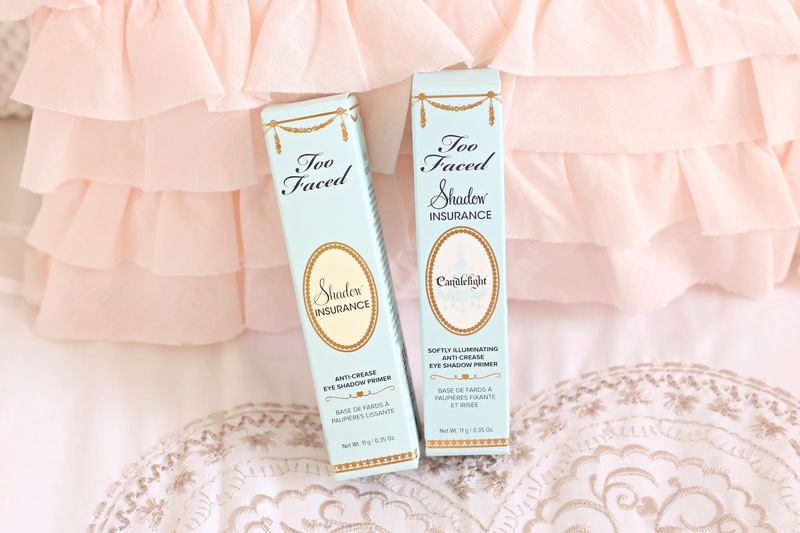 Have you tried the Too Faced Shadow Insurance?